MEADOW BIRD 16 is an evolution of a classic Titmouse design by Sam Rabel. 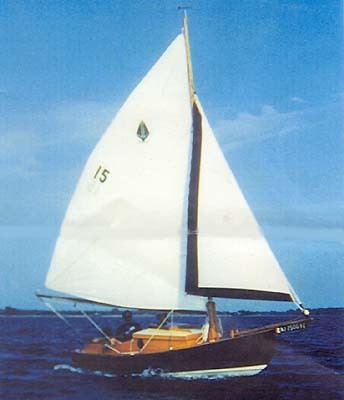 She is an updated version with modern materials, more cruising room and a better balanced sail plan. With these improvements, she becomes one of the finest trailerable pocket cruisers available today. Trailer her behind any car for a daysail or extended cruise. Her cozy cabin has enough room to spread out. The centerboard is below the cabin sole in a shallow keel. 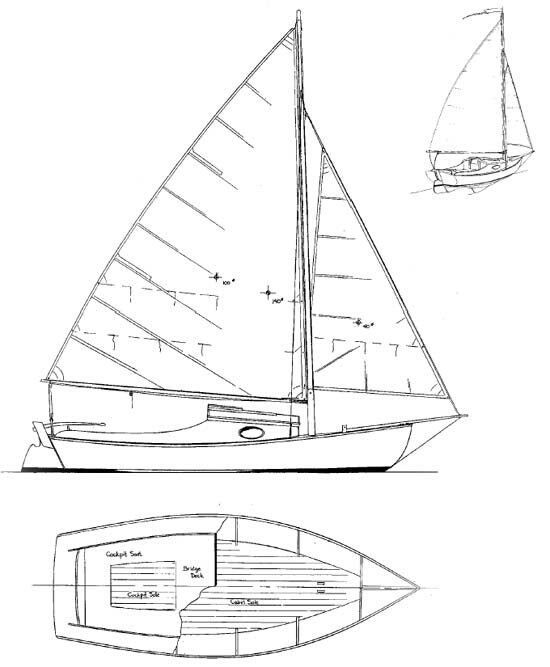 A 1'-6" draft keel version is shown in the plans. She has an able hull with a selfbailing cockpit. Above all, she is a pretty design you will enjoy building and sailing. Construction is strip planking over sawn plywood frames. Plans include materials, lines, construction, sail plan and rig details. Estimated cost for quality construction materials (not including power or sails) is $8000. This cost includes a high level of outfit and finish you can be proud of after putting the effort into building this fine boat. Purchase and Download Study Plans for the MEADOW BIRD for $5.00 in PDF format (zipped file). Purchase Construction Plans for the MEADOW BIRD for $85.00 for delivery by US Postal Service. Purchase Full Size Frame Lofting for the MEADOW BIRD for $85.00 for delivery by US Postal Service.